Dermal or facial fillers are manufactured using a substance called Hyaluronic Acid. This can be produced by large scale bacterial fermentation. The other method of manufacture is extraction from animal tissues. When produced in a medically compliant facility, these fillers are incredibly useful in achieving the sort of results that so many people want for their faces. 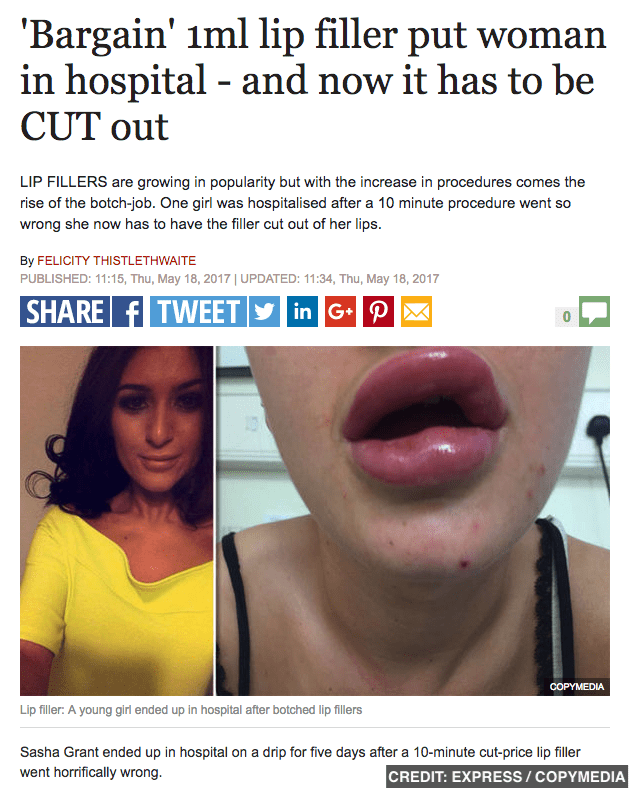 But fillers are not a prescription drug. Practitioners aren’t required to hold any specialist qualifications before administering them. So, who controls what is being injected and by whom into your face and lips? Frighteningly the answer is nobody! 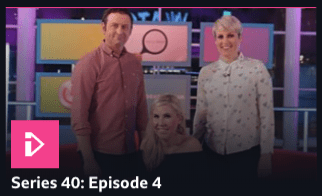 Rylan Clark on Watchdog (21 November 2018), highlights the problems within the industry. During the programme, he reports on three people who in good faith had facial fillers injected into them in a salon setting. It turned out that the product was not hyaluronic acid but beef gelatine mixed with cooking oil. Rylan reports that all three people went into anaphylactic shock and were fortunate not to die. All of these people set out to get the look they wanted and were put at serious risk. The Watchdog team confirmed what we’ve been concerned about for a long time – as there is no legislation on this, anybody can inject you, seemingly with whatever product they can get hold of … and there are no legal consequences! How do I ensure I’ll be safe before getting dermal or lip fillers? Fortunately, there are medical clinics who take patient safety seriously. If you follow these three steps, you’ll be able to find one near you. Check credentials – Make sure that you are seeing a medical practitioner or a fully trained nurse. Keep things clean – make sure your treatment will take place in a clinic, preferably one registered with the Care Quality Commission (CQC). There are many practitioners out there who are injecting people in unsanitary conditions, even in places like gyms and hair salons. Know what is going into your lips and face – if you were asked about your handbag, ten times out of ten you would know the designer, the style and the material! If you were asked what filler had been used on you, the chances are you would have no idea. Not to worry, because in the next section we’ll tell you what you should look for. How can I tell a good filler from a bad one? A good tip is to ask to look at the box. That will state if the filler is FDA approved or CE Marked. The FDA is the Food and Drug Administration in the USA, and CE marking indicates conformity with Health, Safety and Environmental Protection Standards for Products sold within the European Economic Area. These are two big markers of quality. If your practitioner is unable to show you either of them then please – walk out! Which Filler Product should you look for? We always recommend to look for the most widely used ones such as Juvéderm®, Voluma, Volbella and Volift from Allergan, who also manufacture genuine Botox®. Other reputable options include Restylane from Galderma, Teosyal from Teoxane, Radiesse and Belotero from Merz Aesthhetics and Perfecta and Sculptra from Sinclair. At Good Skin Days, due to the large volume we use, we are able to buy all of our fillers and Botox® directly from the manufacturers, Allergan. This means we can be certain we are always using authentic products from the most trustworthy company in the sector. We are a large, independent provider operating from our three dedicated clinics in Guiseley, Harrogate and the Trinity Centre in Leeds. As such, we offer full traceability and transparency on our Botox® and filler products. We back all of this up with our expert team of injectors which includes two doctors and five nurse prescribers, all of whom are fully trained and qualified. We offer free consultations in all three of our clinics. The best way to decide on fillers is to talk to one of our experts. To finish off, BUYER BEWARE – never more true than in this situation! We hope this advice helps. If you’ve got any questions, drop them in the box below and one of our clinical team will answer them. Or give us a call if you’d like to book a free skin consultation.